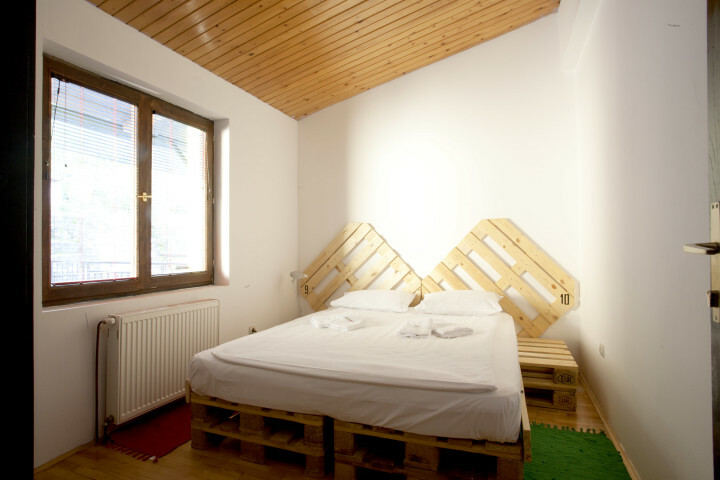 Eco Hostel Republik is located in Western Serbia, in the city of Užice, in the Rakijska pijaca district. 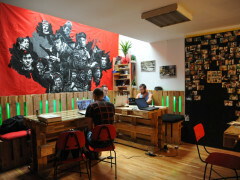 The idea of Užice’s resistance during World War II has been used as an inspiration for our hostel’s concept and decoration. 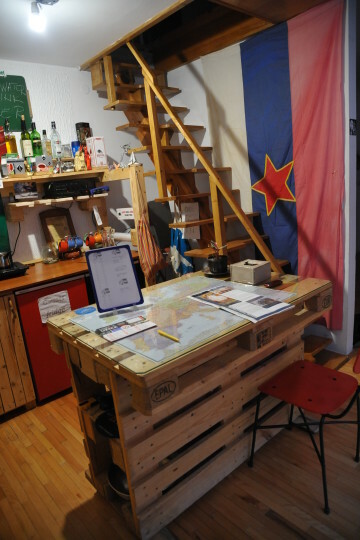 This hostel is fully equipped with special furniture made from pallets and original army items which make it a unique base for exploring the city and the surrounding area. 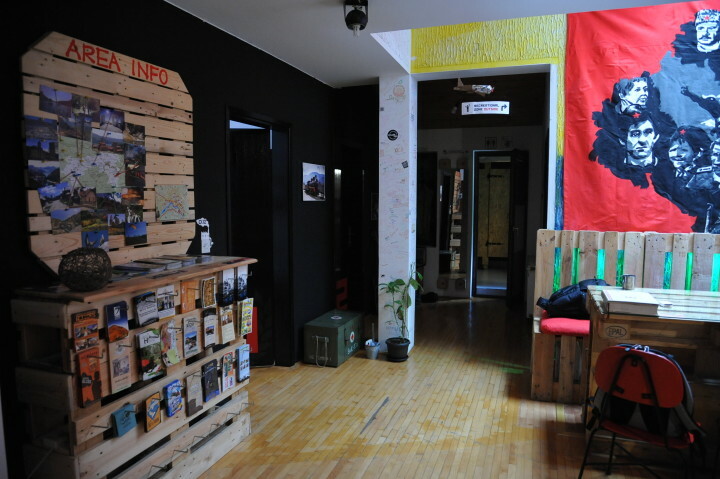 For the convenience of all guests the hostel provides a large common kitchen where guests can prepare their own food and a living room with a projector where you can enjoy movie nights with your fellow travellers. 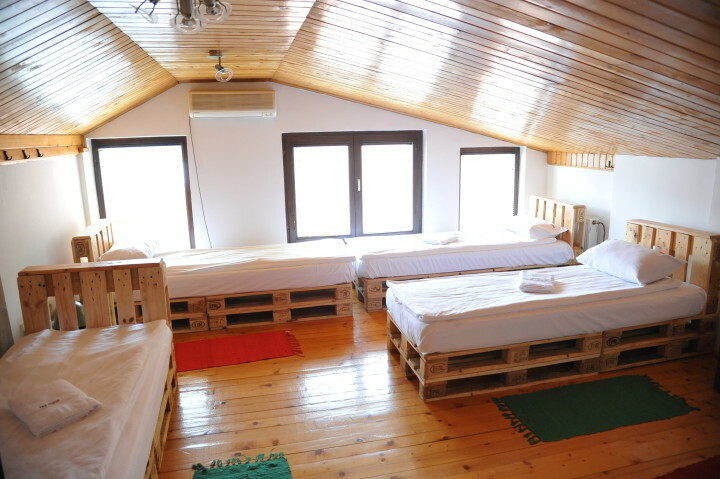 Eco Hostel Republik is a 10-minute walk from the bus and train station and a five-minute walk from the National Museum. Besides, Old City fortress, which dates back to the Middle Ages, is just 20 minutes away. Children under the age of 7 must be accompanied by a parent or legal guardian. Children under the age of 7 are unable to be accommodated in shared dormitories unless accompanied by a parent or legal guardian. I love the stylish decoration and spotlessly white bed sheet there. It's clean and environmental friendly. 3 kittens are so cute. The host are very nice. They help to organise activities and give recommendations for walking. The hostess even gave me a glass of Rejika as welcome drink! 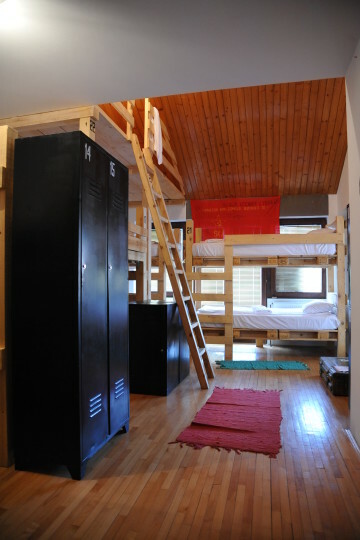 If the common room is more spacious that would be perfect. After you come out of the bus station you'll see a bridge in front of you cross the bridge and continue straight until you see a drinking fountain and the small park behind it. Cross through the park and on your right you will see the yellow church. Pass next to the church on your right after 30 metres the road will go slightly to the left just continue to follow the road until you reach the crossroad. Step across the street and pass next to the drinking fountain and go right 10 metres and then turn left. On your left side you will see yellow buildings and after a minute of walking you will see a wooden church. Continue to go straight until you pass the church on your left side. Go straight for a few metres and then turn right through the narrow passage where the metal bridge crosses. 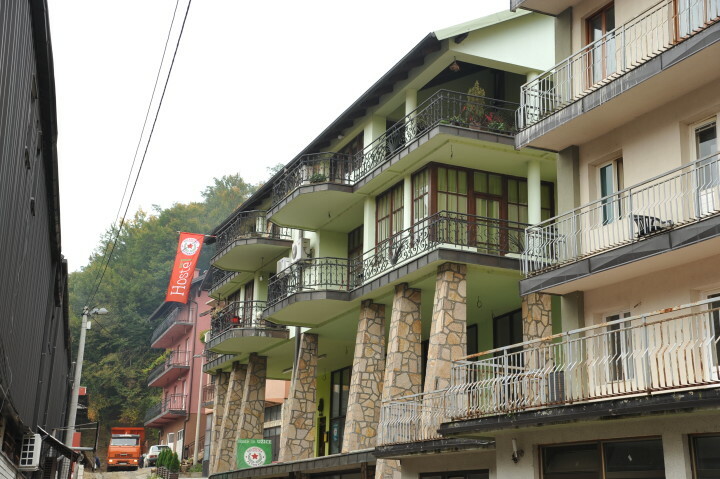 When you enter the street look left and you will see Eco Hostel Republik. 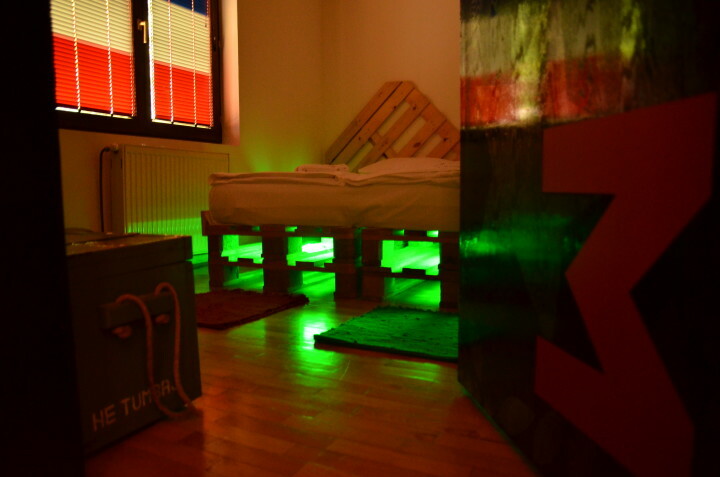 Eco Hostel Republik is located in the downtown of Užice in part of the town called Rakijska pijaca 10 minutes walking distance from the main street and five minutes from the National Museum. It’s also a 10-minute walk from the hydroelectric power plant known as "Power plant under the fortress" and 20 minutes from the Old City fortress which dates back to the Middle Ages. 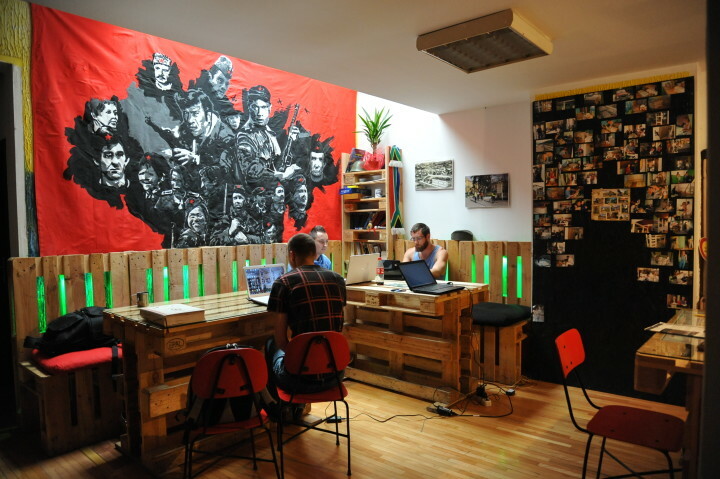 Užice is located in the central part of Western Serbia and has the best location to explore the beauty of this area. Parking is available in nearby street. After you come out of the train station you'll see a bridge on your right. Cross over the bridge and continue straight until you see a drinking fountain and the small park behind it. Cross through the park and on your right you will see the yellow church pass next to the church on your right. After 30 metres the road will go slightly to the left just continue to follow the road until you reach the crossroad. Step across the street and pass next to the drinking fountain and go onto your right 10 metres and then turn left. On your left side you will see yellow buildings and after a minute of walking you will see a wooden church. Continue to go straight until you pass the church on your left side. Go straight for a few metres and then turn right through the narrow passage where the metal bridge crosses. 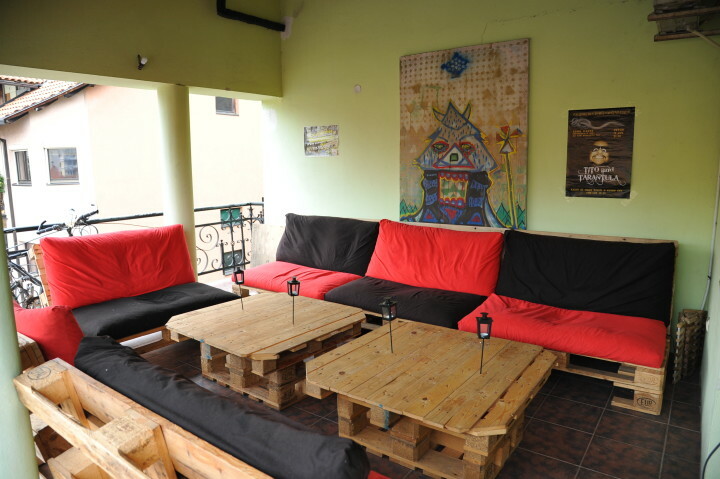 When you enter the street look on your left and you will see Eco Hostel Republik.